This edition of The Week That Was is brought to you by Post Toasties Corn Flakes. Start your day a little bit better! The guy who put this commercial reel together didn’t make it easy to find the start and end of the commercials. Oh well. I started daily blogging on July 1, 2014, and when the 2015 A to Z Challenge came along I realized I needed something to do on Sundays, which is how The Week That Was came to be. So today is its fifth anniversary. A few of you have asked what I mean when I indicated that you can now post comments with Markdown. Markdown is a lightweight markup language that uses plain text formatting syntax. What that means is when I want to boldface something I can type it **like this** and have it come out like this. WordPress has implemented it for both writing posts and comments, and while I can’t do everything with it, it takes care of the more common things (boldface, italics, links, and tables). If you’re interested, here is a quick reference. Anyway, it’s been a busy week, so let’s get to the summary. Boney James was this week’s featured artist, mostly because his name started with B. Went back into the archives and re-ran a post I had written a few years ago about my favorite book when I was a kid. We visited WEEX in Easton, Pennsylvania and played their Top 10 from April 5, 1975, a time I remember very well. Linda gave us the prompt fab, and I (like many others) talked about George Harrison and The Beatles, the TV show Absolutely Fabulous (AbFab to those in the know), and Fab detergent with borax. Lost in the hustle and bustle of the A to Z Challenge was this month’s first Battle of the Bands, which in my case is “Rhythm Of The Rain,” with two non-English versions for your listening pleasure. I’ll announce the results tomorrow, so if you haven’t voted (and anyone can vote), now would be the time to do so. So far it’s been a good challenge. There might not be as many participating as in years past, but they are really participating. I’m going to try and get as much written today so I can be better about commenting. Great job, everyone! Keep it up! All the regular features will be intertwined with A to Z Challenge entries. This week’s letters are G through L.
Figured out a way to generate this list automatically! Well, kind of automatically… I had to load the comments table into a local database and play stupid programmer tricks to get the list to come out right. That said, whatever you used as your name on your comments is what you’ll see here. I follow you by email. 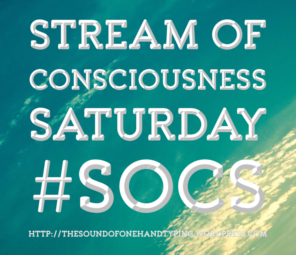 I have noticed lately that you have many more people commenting on your blog subjects than I am used to seeing. I have noticed for a long time that you thank many more people than have commented. Why is this? Am I now, for some reason, seeing comments that have been made on other social media postings? Certainly not complaining, just wondering. 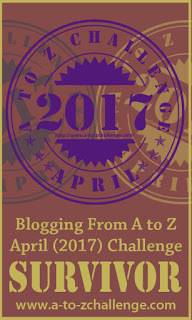 We started our annual A to Z Challenge, where bloggers blog every day (but Sunday) using successive letters of the alphabet. Last week we did A thru F, this week G thru L etc. We then visit as many other participants as we can. I’m one of the moderators, so a lot of people stop by, which explains the increased traffic. Thanks for the explanation on Markdown. I never paid much attention to it. BTW, Happy 5th anniversary! Thanks! The blog itself has been around since the start of 2012, but I started daily blogging in 2014, and TWTW started to give me something to write about on Sundays during A to Z.